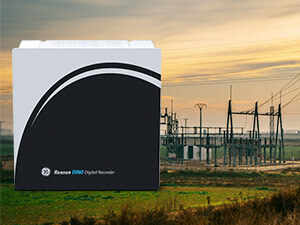 Providing accurate, digital fault recording for small to mid-sized applications, the Reason DR60 is a single, powerful recording device used by utility and industrial customers for disturbance and post fault analysis. Supporting a high channel density, the DR60 is flexible and scalable, capable of supporting up to 32 analog inputs, up to 96 binary inputs and up to 48 binary outputs. Such channel density in one compact device reduces the panel space requirements and relay room footprint. For complex schemes, multiple devices can be networked and cross-triggered, to ensure accurate, time-synchronized recording of power system events. With native support for IEC 61850 edition 2, the DR60 integrates easily into new or existing networks and supports advanced digital substation architectures.